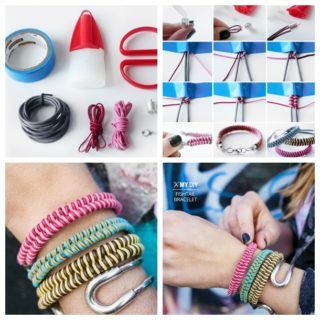 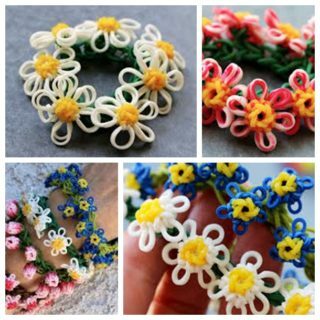 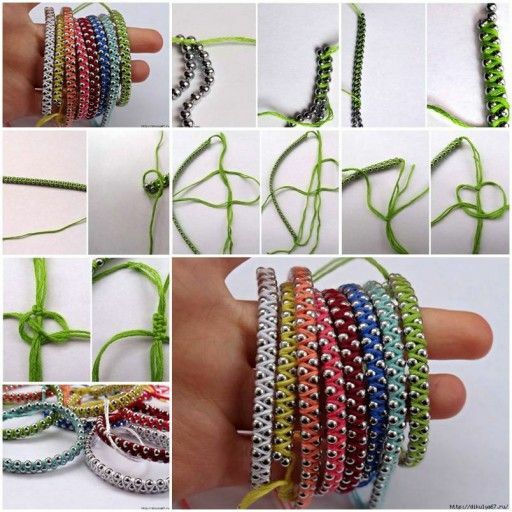 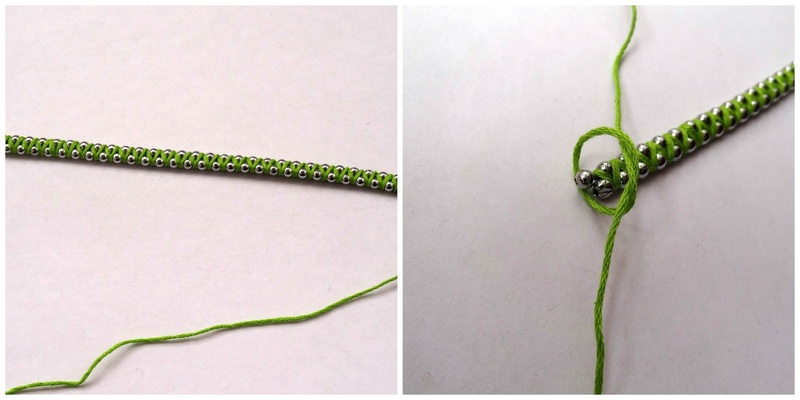 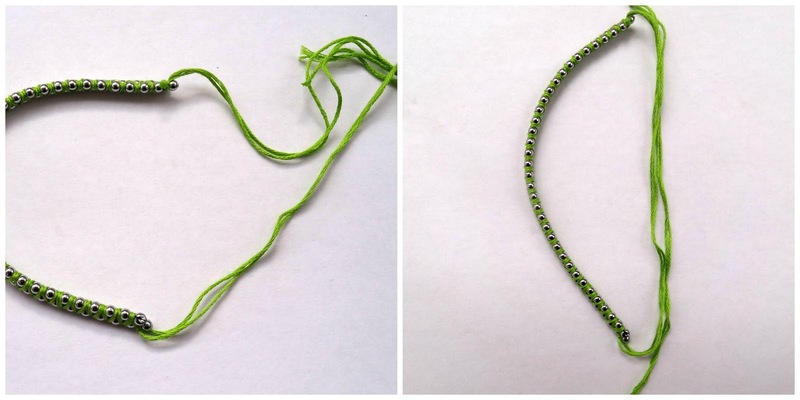 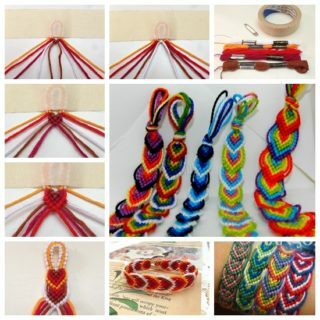 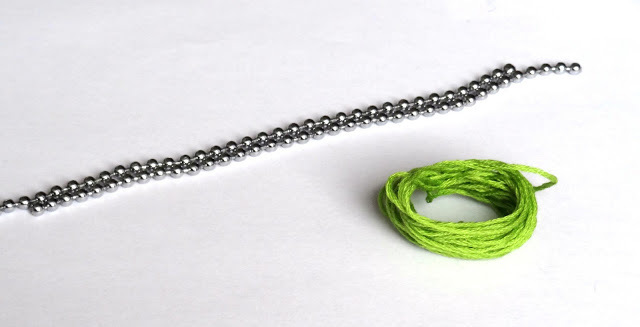 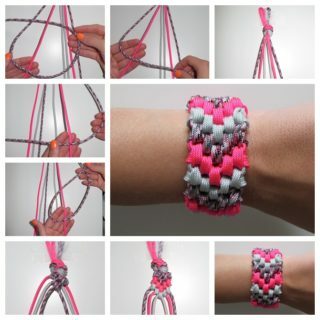 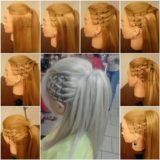 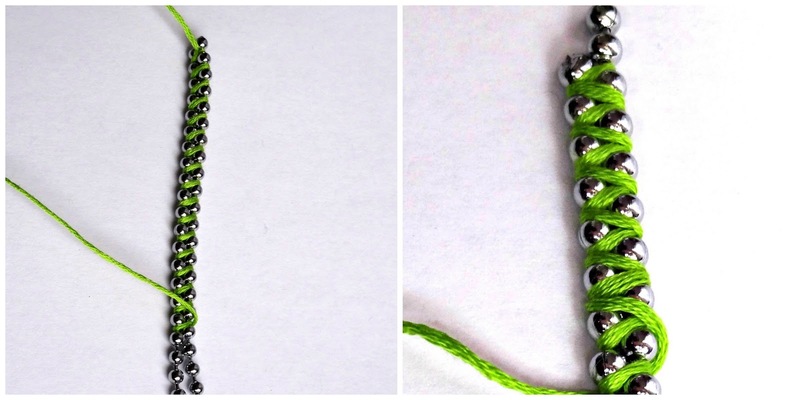 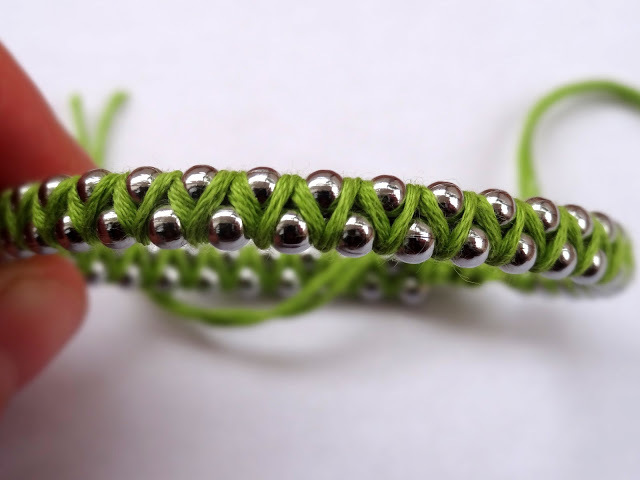 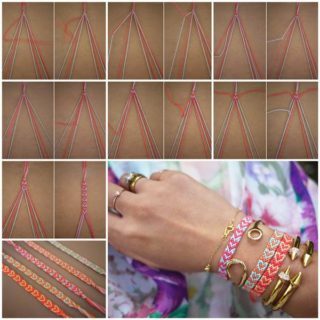 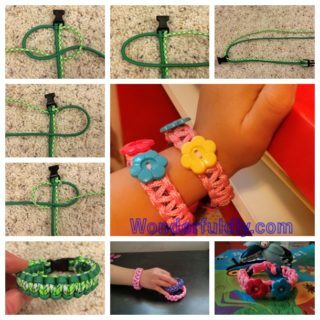 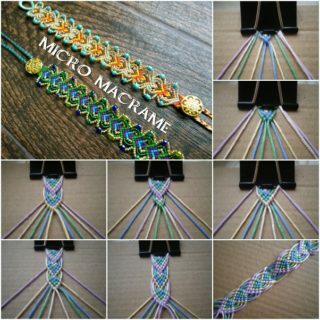 These pictures show you how to add beads to a friendship bracelet . 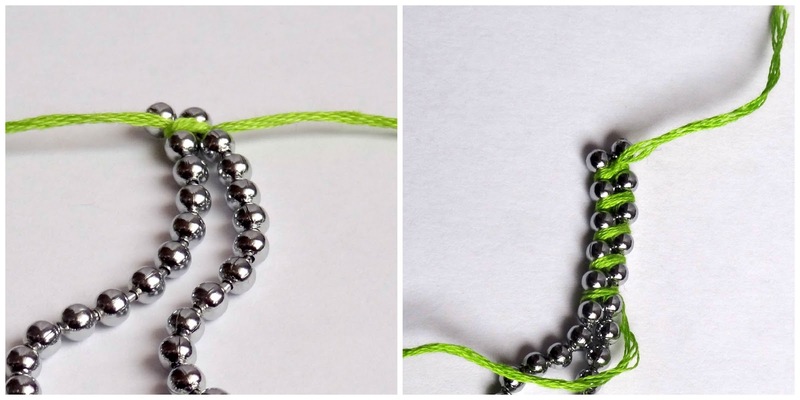 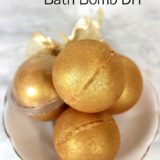 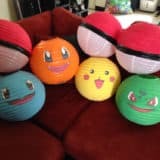 They are cute but did you know they are also very easy to dress up with beads? 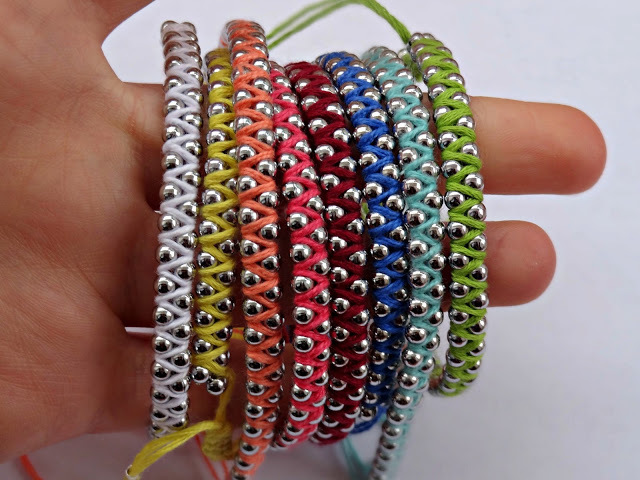 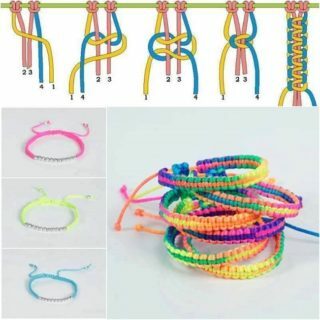 And you can make a lot of bracelets like these and wear them all together for an amazing rainbow effect or great gift !